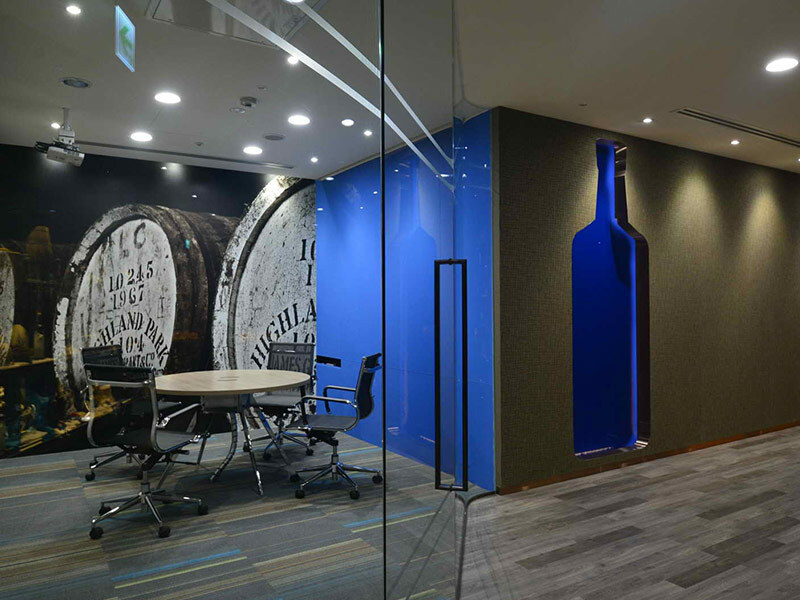 SL+A Taiwan designed the new offices of international beverage company The Edrington Group located in Taipei. The offices radiate sophistication and are synonymous with the brand reputation of Edrington, a firm with origins in the mid-19th century. Edrington is the maker of some of the world’s best loved Scotch whiskies, including The Macallan, The Famous Grouse, Cutty Sark and Highland Park, and the blend of wood, plush carpentry with modernist lighting, sweeping curves and open spaces.